Who wore your favorite look at the Grammy’s last night? The usual snore fest had it’s highlights and Twitter definitely made it a lively occasion with plenty of shade throwing commentary and snarky quips. But the fashion was definitely on point last night for the most part. Kelly Rowland slayed all hopes and dreams with a Georges Chakra Couture gown. 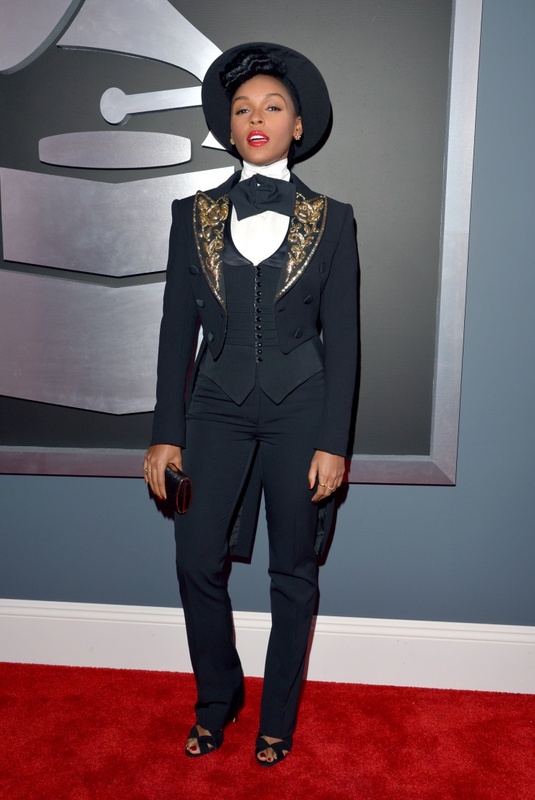 Janelle Monae does what only Janelle Monae can do (when are we going to get some new music?!?!) and we love every bit of it. Solange rocks a bold emerald green sequin dress by Ralph & Russo. While we love big hair, this hair was looking a bit muppetish. Just wish it was cut better to frame her face, rather than overwhelm it and dust her shoulders. Two more inches of length and that hair would have been va-va-voom perfect. Bad gal Rihanna was stunning in red and whoever her vocal coach is deserves the BIGGEST applause for bringing the bad gal up to par to give us one of her best performances at the Grammys. Esperanza, the darling of last years Grammys looked, well…let’s just talk about how happy we are that she’s doing an intimate US Tour this spring and we’ll definitely be catching her live! 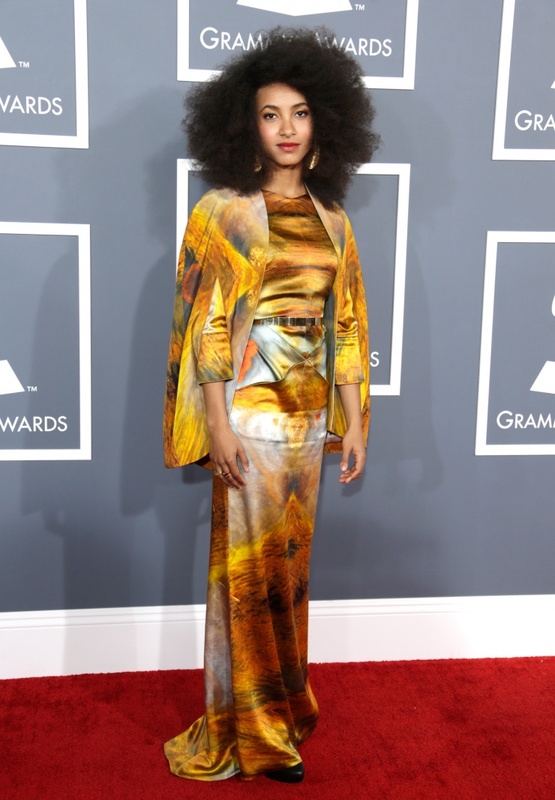 Check out some of the other ladies who hit the red carpet at the Grammy’s last night. And lets not forget about who rocked it best…..PRINCE!